Whether you are single and reading this because you want to know more about online dating or you are a long-time member of the dating community still trying to find your perfect partner, then we have good news for you: it is estimated that by 2031, one in two relationships will start online. Every day, more and more singles are using online dating websites to find their match, potentially become dating couples, and fall in love. With the continual growth of available online matches, each new day is a new possibility to find your significant other. With ever-growing statistics in favor of online dating growth and success, it makes one wonder what everyone else is waiting for. Hard scientific evidence continues to prove that those that find their significant others through online dating are more successful, happier, and that the process of online dating is overall much easier than traditional dating. These five statistics will have you sitting on the edge of your seat! A recent eHarmony study shows that 9% of couples met in bars, clubs and other social events. The way that Hollywood depicts the majority of dating couples meeting is nothing but Hollywood fiction. The practice of going out with friends to a late night hot spot is no longer the norm. Traditional bar, corny pickup line couples, which used to be normalcy, is now being replaced by dating sites’ couples. 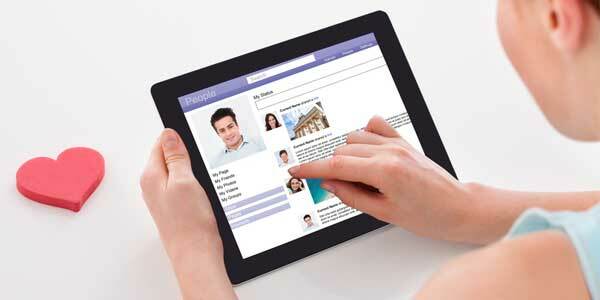 When looking at people over the age of 50, online dating was the most popular way to meet other singles. When looking at statistics for all ages, more people met their significant others at work or school, ranking slightly above online dating website; however, as we follow the trend of increased students taking online classes and those entering the workforce through telecommuting or freelancing from home, we will see the percentage of people meeting at work and school decrease significantly. If you sit down and think about your friends that have gotten married recently, science says that one in three of those couples met online. A study published by the Proceedings of the National Academy of Sciences stated that not only did 35% of marriages started online, but statistically, couple that met online are less likely to get divorced and are happier in their marriages. Many aspects of online dating can claim credit for this success; however, the greatest is the mathematical science behind online dating—the proven algorithms that find you your perfectly compatible partner. The number of singles signed up for online dating websites are growing at a rate that has baffled economists and statisticians. The online dating community is now one of the largest growing communities in America. 40% of the American, single-people population—almost 40 million people—partakes in online dating on a daily basis. More importantly, there are numerous online dating websites that cater to specific desires and demographics, such as BlackPeopleMeet, JustSeniorSingles, and ChristianMingle, just to name a few. You know that people engaged in online dating are more serious because unlike clubs and bars, they take time to determine their potential mates by getting to know the real person, not the quaffed hair or the inappropriately tight pants. When online dating users were polled, the majority of eHarmony couples—55%, went to the ‘About Me’ page of another users’ profile before heading over to the ‘Pictures’ section. * When meeting people at public places like bars, there is nothing to initially go off of except for physical features. Filling out questionnaires, when setting up your online profile, will help with the aforementioned probability calculations. It is no longer a question of whether or not online dating is successful. As online dating websites continue to make their services safer for their members and provide efficient ways for singles to meet, the online dating community will continue to grow. If you’ve been inspired by the statistics in this article, don’t wait any longer to delve into the world of online dating. Check out our readers’ #1 reviewed online dating site.